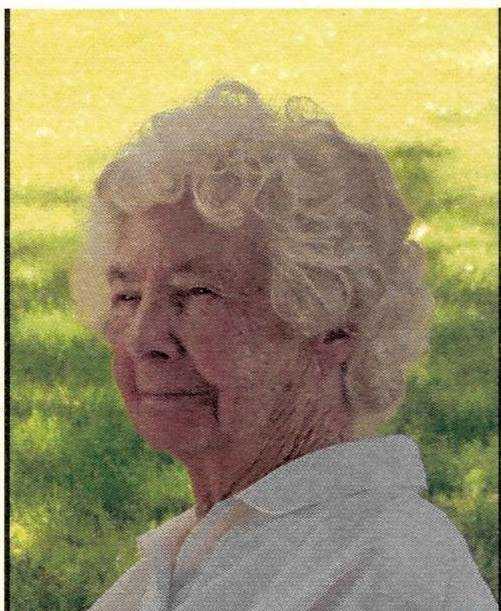 Wilma Morrison Hoagland passed away gently at home in Hammett, Idaho on April 7, 2019 at the age of 104. Wilma was born on October 19, 1914 to James P. and Rae Perkins Morrison in Dayton, Idaho. Raised on her grandfather Perkins homestead, Wilma liked indoor activities more than outdoor. She didn’t like getting dirty. She loved to dance and from a young age, her parents often asked her to dance for family and friends. She was married to Cecil John Heyrend who passed away in Bataan, Philippines during World War II. While they courted, he would pick her up for dancing dates in his blue convertible. She was later married to Richard Hoagland, who always provided the best for her, until his death in 2007. Wilma worked at a defense plant in California inspecting fuel tanks because her petite, 4’ 10” size enabled her to fit inside. She later served as the post master in Hammett and the Deputy Assessor for Bonneville County. She loved to dance, travel, camp (somehow staying immaculate and clean,) and visit her hair dresser. Her family fondly remembers her love of watching Lawrence Welk, Jeopardy, and Wheel of Fortune. Most of all, she loved spending time with her family where her dry humor and infectious giggle endeared her to all. She will be greatly missed by her family and friends. Wilma is survived by her children, Verlyn (Myrle) Hoagland, Ronald Hoagland, and Vicky Kahler; her eight grandchildren, Kevin, Steve, Sydney, Deanna, R.L, Greg, Robyn, and Rick; 15 greatgrandchildren, and 12 great-greatgrandchildren. We love you Grandma. She is preceded in death by husbands Cecil Heyrend and Richard Hoagland; sisters Sarah Wham and Helen Wood; brothers Joe, Gene, Keith, Grant, and Jim Morrison; 3 grandsons Tony Kahler and Bruce and Ryan Hoagland.